My daughters love all things horses, especially my oldest daughter and she especially loves the unicorn. When I think of a unicorn I think of beauty, magical, majestic, free spirit and glowing. Hard Candy thought of this as well when making their limited edition Unicorn & Mermaids line. Unicorn lipgloss top coat. 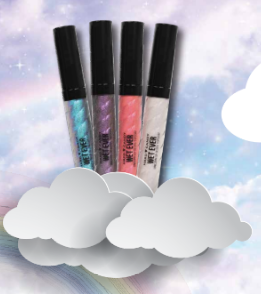 Turn your fantasy into reality with these Unicorn Wet Ever Top Coats. This creamy, marble swirl lip gloss can be worn on any lipstick to immediately transform it into a Unicorn dream. Wear it on top of light pastel colors for an instant glow, or on darker colors for a holographic effect. 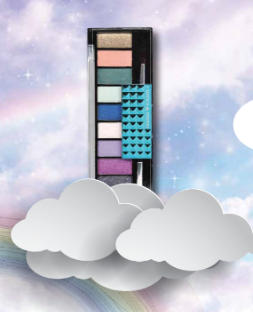 Unleash your inner Mythical Goddess with Hard Candy's new Unicorn & Mermaid Eyeshadow Palette. This palette contains 10 Unicorn & Mermaid inspired eyeshadows which can be layered, mixed and worn alone for the soft, gorgeous look you have read about in fairy tales. The line is out now in time for Halloween and can be purchased at select Walmart locations find your closest location here.